The stylized ‘N’ symbol is designed to make it easy for consumers to spot embedded NFC tags in everything from posters to bus stop signs and medicines to food packaging and magazine pages. The NFC Forum has introduced the N-Mark, a stylized ‘N’ that is designed to enable consumers with NFC phones to quickly and easily spot embedded NFC tags. The N-Mark is global in scope and is available for use in applications that are compliant with the NFC Forum’s NFC Data Exchange Format (NDEF) specification and where the tags used meet the NFC Forum Type 1-4 Tag Operation specifications (the full specifications are available to download on the NFC Forum website). 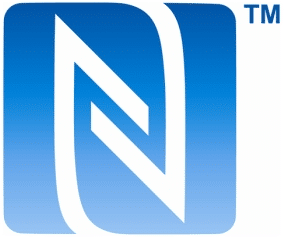 The NFC Forum has published N-Mark Trademark Usage Guidelines (pdf) which spell out the requirements that must be met in order to use the N-Mark. These include the need to ensure that the N-Mark is only placed where a compliant tag is located and that this must be in an easily accessible area that ensures consumers can readily interact with the tag. The guidelines also cover colour and design issues. Licenses to use the N-Mark are free and are designed to be straight forward to obtain, by simply completing a ‘click-through’ license application form on the NFC Forum website. Usage of the N-Mark is not subject to prior approval by the NFC Forum and the association will not be directly policing its usage. But the association has moved to protect the symbol from inappropriate usage by registering the N-Mark as a trademark in numerous countries around the world. Within a year, the NFC Forum will also be introducing a second logo, the Certification Mark, which will be used to identify devices that meet NFC Forum device specifications and have passed a yet-to-be-determined certification process.